There are situations when homeowners are compelled to replace their roofs. There could be extensive damage caused by a cyclone or hurricane, a part of the roof may have come crashing down due to age or lack of maintenance and there could be man-made damage. These realities cannot be ignored and the obvious solution is roof replacement. Other situations are not as simple. There will always be a certain degree of uncertainty over whether repairing would be ideal or replacing will be the pragmatic solution. To do away with such uncertainties, here are five signs that it is time to look up some roofing contractors Dearborn Michigan and get your roof replaced. How old is your roof? Every roof has a lifespan. Asphalt roofs don’t last decades. Metal or rubber roofs do but the type of metal or rubber will determine the exact lifespan. Slate roofs are known to last longer than a human lifetime but you should still know if the roof is in a state that calls for replacement. If your roof is at the end of its lifespan then considering replacement before it gets too late is recommended. No homeowner wants a roof to come crashing down. A very old roof will be extremely vulnerable to torrential rain or heavy snowfall and in the event of a hurricane or severe cyclone the whole family and even neighbors may be in danger. It is wise to opt for a replacement proactively. Shingles will deteriorate over time and when they become fragile they will shed granules. The simplest way to know is to check the gutter. If you find excessive shingle granules in the gutter, then it is time to replace your roof. You may also find shingle granules on the ground or on the roof. They accumulate in the gutter naturally but wind or rain can also lead to some pile up on the ground below. If you have one cracked shingle then it could be just one damaged shingle and you can replace it. If you have too many cracked shingles then you should replace the roof. 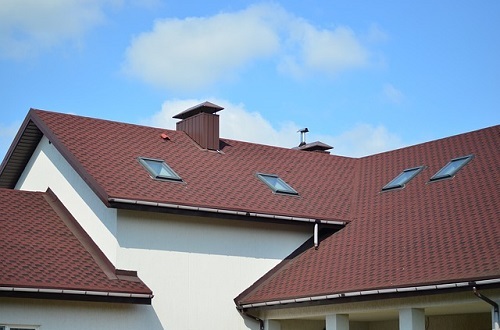 If you have one missing shingle, then it can be an aberration but if too many are missing, indicating they may have been flown off by strong winds, then you ought to replace your roof. A healthy roof will not hold onto moisture. Growth of algae or mold is common but excessive algae or mold indicates moisture build up on the roof and inside the substrate layers. You ought to replace your roof and you should also check the roofing deck. Very old properties may need a new roofing deck if there is structural damage. An ageing, damaged or weak roof will not always have a cracked shingle or a few missing. At times parts of the roof may be sagging, there could be caulking near the flashing or the flashing could be substantially damaged, some shingles may be curled or buckled and you may find many of these anomalies existing simultaneously. All these problems call for roof replacement.